The Beakers echo the curved lines of the Water Jug and their tactile form fits comfortably in the hand. The complex shape demanded the development of a specialized pressing tool, and each piece is hand-abraded and sandblasted before it is anodized. 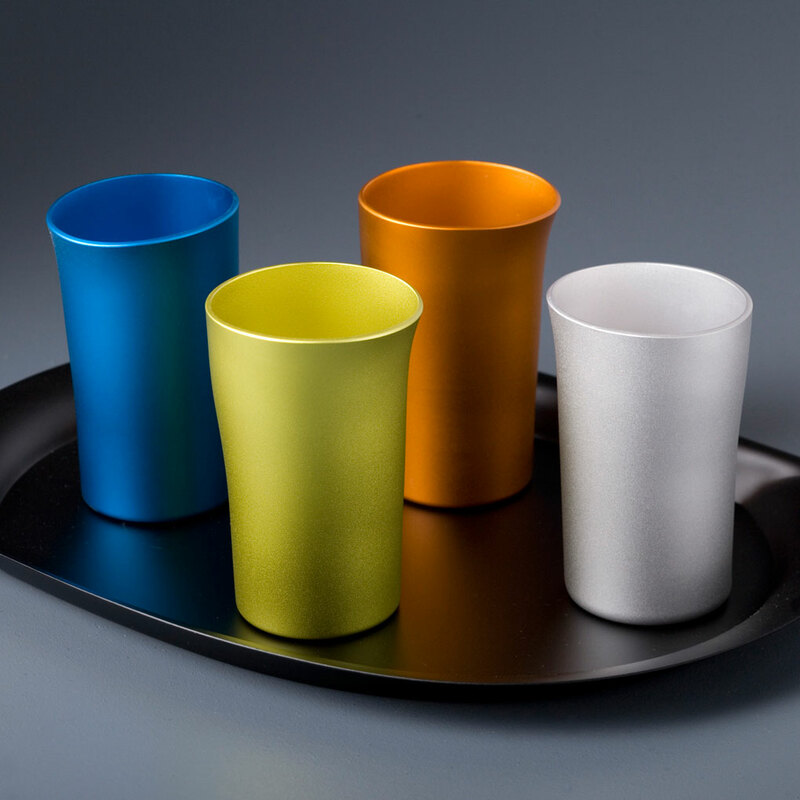 Beakers are packaged in sets of four in same colour or mixed-colour combinations. The F!NK Tray holds the Water Jug and six Beakers. Its sweeping elegant lines make it a pleasure to carry and it easily stands alone as a striking practical object. The Tray is available in matt black and bright anodized silver.